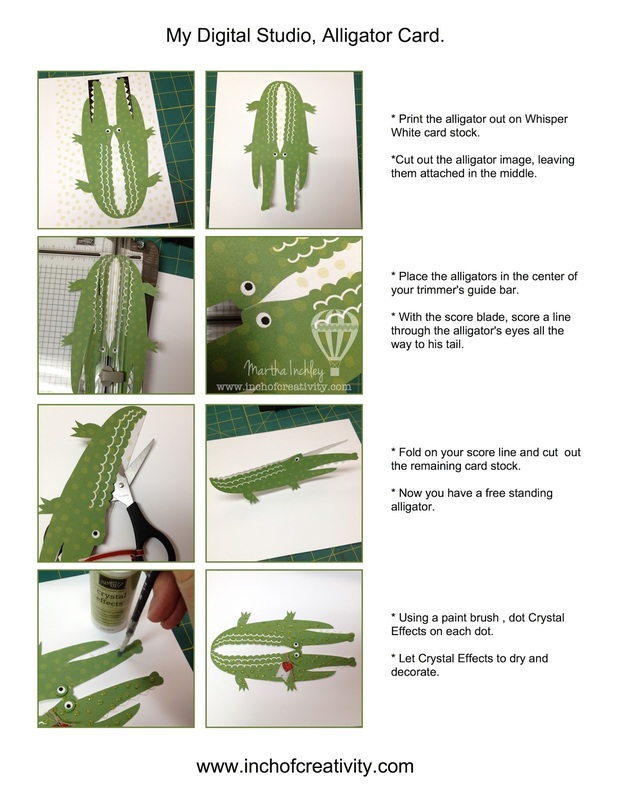 Inch of Creativity: Hybrid Alligator, Take 2! 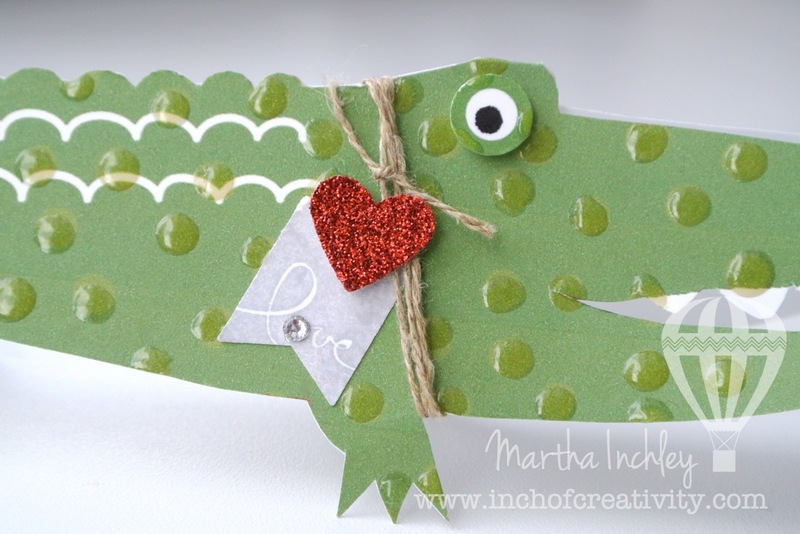 I really hope you're not getting tired of seeing this little alligator guy because I am absolutely love'n him! I cropped this alligator from the digital stamp brush: See Ya Later, which is available on the SAB, digital ensemble, download. Using the colouring tool, I coloured his eye, black and his teeth, white. I then copied him, flipped him and placed him above my original alligator, making sure their eye's and tail's over lapped a little. I used the align tool to make sure they were lined up with each other. In order to see the white teeth, I had to place a black punch behind them. 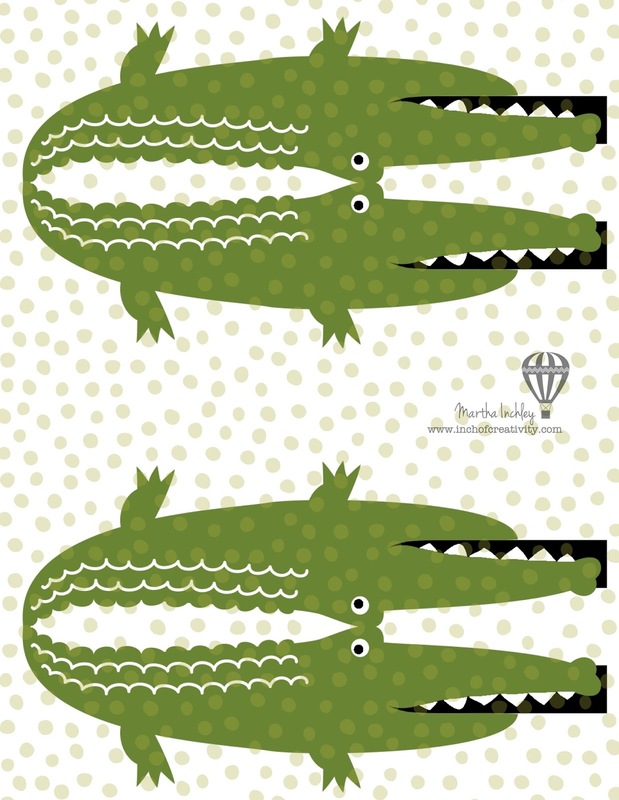 I then printed out my alligator onto Whisper White card stock, cut him out and continued to embellish. Please see my tutorial below for complete instructions.